Molecular prosthetics are small molecules that can replace missing proteins to treat diseases. Illinois professor Martin Burke describes one that could treat anemia by replacing an iron transport protein. 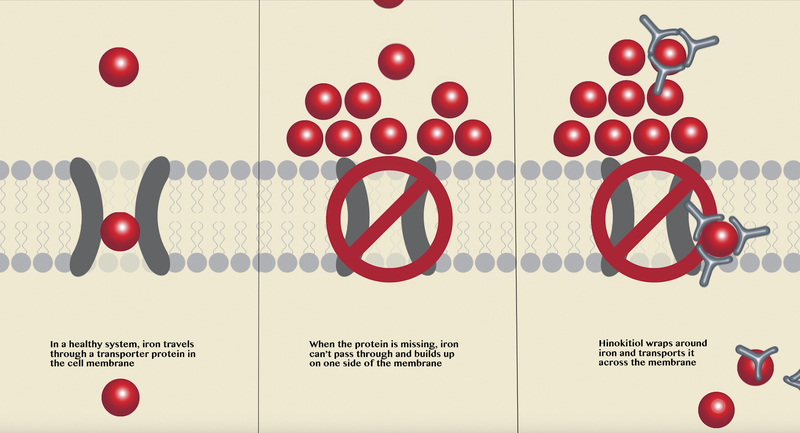 CHAMPAIGN, Ill. — Researchers have demonstrated that a small molecule can transport iron in human cells and live animals when proteins that normally do the same job are missing, a condition that often causes severe anemia in patients. Such “molecular prosthetics” might treat a host of incurable diseases caused by protein deficiencies, such as anemias, cystic fibrosis or certain types of heart disease. Researchers at the University of Illinois and collaborators at Harvard Medical School and Northeastern University published their work the journal Science. See a video at https://youtu.be/n--1DgIg5Nc. Illinois chemists have developed molecular prosthetics, small molecules that can treat protein deficiencies. 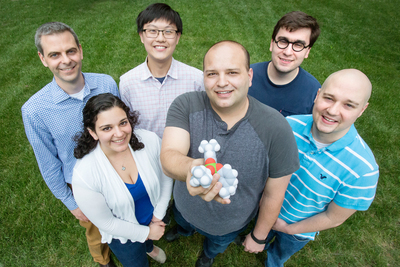 Pictured, back row: Chemistry professor Martin Burke, undergraduate students James Fan and Chris Nardone. Front row: graduate students Anna SantaMaria, Anthony Grillo and Alexander Cioffi. "If you’re sick because you have too much protein function, in many cases we can do something about it. But if you’re sick because you’re missing a protein that does an essential function, we struggle to do anything other than treat the symptoms. It’s a huge unmet medical need,” said Burke, who also is a medical doctor. 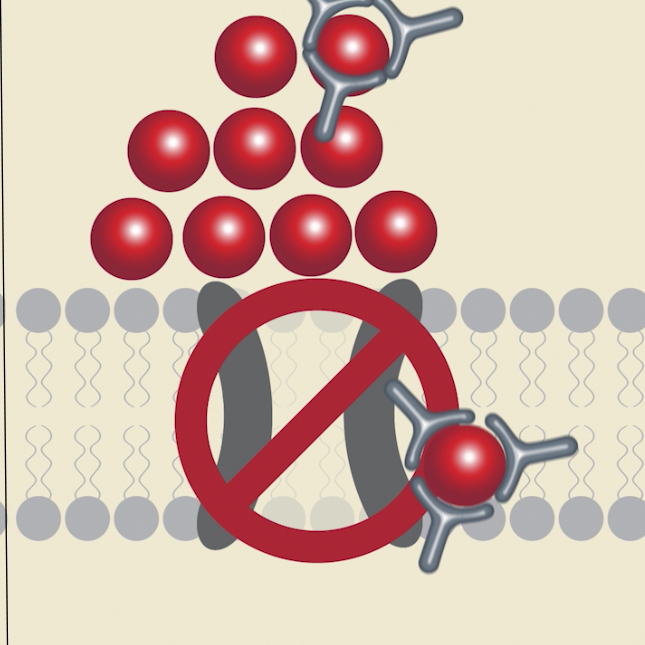 The small molecule hinokitiol transports iron across cell membranes where transport proteins are missing. See an animation at https://www.youtube.com/watch?v=sD_BwBhQqyo. The National Institutes of Health and the Howard Hughes Medical Institute supported this work. Editor’s notes: To reach Marty Burke, call 217-244-8726; email: mdburke@illinois.edu. Multimedia files are available at https://uofi.app.box.com/v/molecularprosthetics.